Decadent A Coffee and Dessert Bar offers pastries, sandwiches, coffees and gelato. Photo by Holly Beretto. 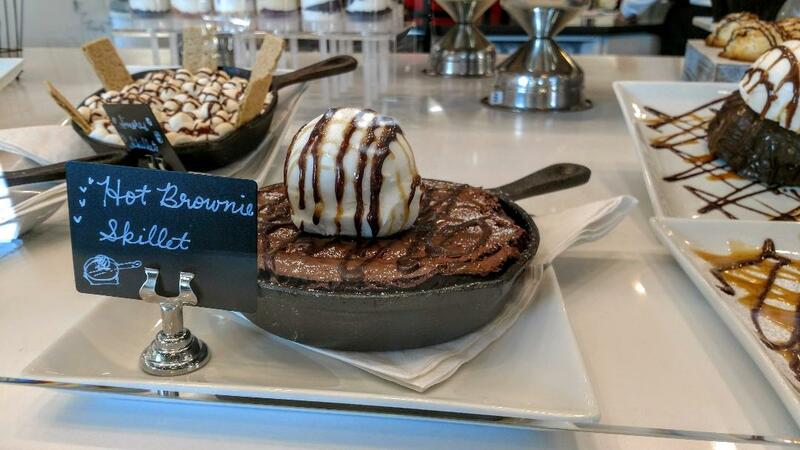 A new Houston source for sweets, Decadent – A Coffee and Dessert Bar, opened on January 7 at 4340 Westheimer between the posh River Oaks District and swanky Highland Village shopping centers. According to franchise owner James Skaggs, the official grand opening is on January 19 and he’s celebrating by offering 20 percent off everything on the menu that day. Skaggs is running the first Houston location of the small, Kansas-based chain. He is a graduate of the University of Houston’s Conrad N. Hilton College of Hotel and Restaurant Management and an industry veteran who says he’s led locations for Saltgrass Steakhouse, TGIFriday’s and CiCi’s Pizza. “I sold my car-care business in Sugar Land,” he said. “My kids weren’t interested in taking it over and I was looking for a fun, family business, something that was simple and inviting.” He decided on Decadent after a visit to the company’s headquarters. 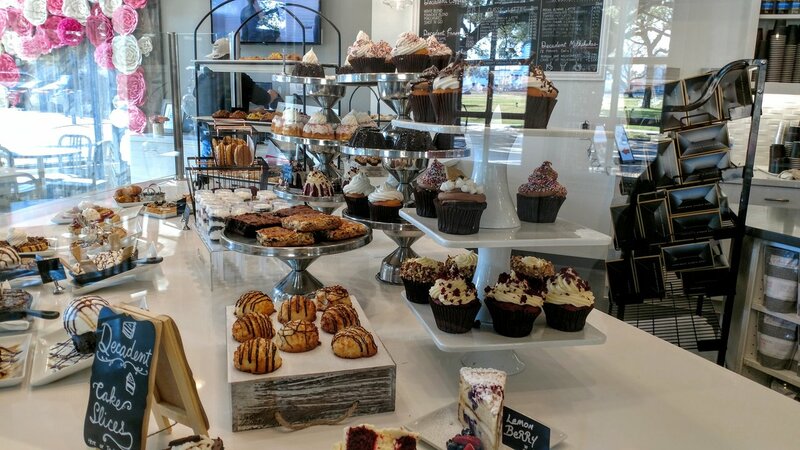 Skaggs loved the fresh-baked cookies, cakes and other sweet treats as well as the idea of a casual coffee bar atmosphere that could be not only a welcoming place but simultaneously feel high-end. His plan is for it to be a family business that he can pass on to his teenage daughters. Skaggs invited us in to sample some of the dishes, all of which are made in-house daily. He says that one of the most popular menu items so far is the Southern Charm breakfast sandwich, made with egg and cheese and a choice of bacon or ham. The cheese is salty and gooey and is a nice foil for the fluffy scrambled eggs. At only $5.50, it’s an affordable option for enjoying in the shop or grabbing one to go. The flaky, buttery croissant is another favorite, as are the Breakfast GoGo Sandwiches that can be made with the croissant, a wheat waffle or a bagel. On the sweet side, a glass display case shows off a dizzying array of confections, including mini Bundt cakes, massive brownies and bars, multi-layered cookies, fat slices of layer cakes and nearly a dozen flavors of gelato. The sticky and sweet coconut macaroons are $2.50 each and come drizzled with chocolate. The sugar nearly overpowers the coconut flavor, but those looking to slake a sweet tooth will likely enjoy them. The Chocolate Mini Bundt cake costs $5.95 and is super rich and dense. It’s topped with a white buttercream frosting that cuts through the depth of the chocolate and is easily shareable. We recommend pairing it with a creamy latte to help balance the sugar rush. 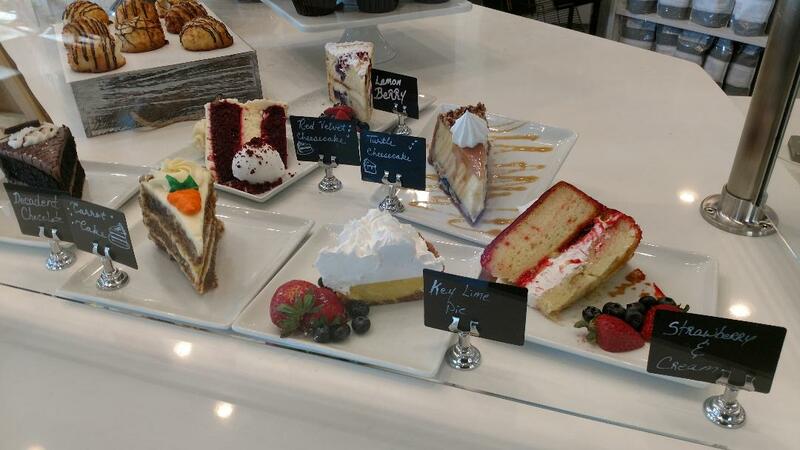 The Lemon Berry Mascarpone Cake costs $7.95 per slice and is one of our favorites. It has a pleasing punch of citrus and tangy blueberry flavor while the cake itself is buttery and moist. Decadent offers several cakes, all of which are made daily in house. Photo by Holly Beretto. Gelato servings start at $3.50 for a single scoop and the key lime is a bright bang of sweet and tart, like a taste of summer in a cup. Meanwhile, the peanut butter is dense and packed a powerful peanut flavor. The Cinnamon Toast Crunch tastes exactly like the milk left in the bowl after a heaping serving of the popular cereal. Decadent’s extensive coffee menu balances the sugar with lattes, cappuccinos and flavored specialty drinks. The cute, cozy eatery is big on natural light and full of bright colors. The homey vibe borders on feminine with a hot pink accent wall and thoroughly Instagrammable setting. For example, one wall is covered with pink and white paper flowers for a striking setting for those ubiquitous selfies. Crystal-enhanced lights offer a quirky touch of elegance. Service comes with a smile, too, as the staff is welcoming and eager to share favorite items and help guests discover their own. The shop plans to offer cake decorating lessons in the coming months in addition to packages for kids’ birthdays. With a location that boasts neighbors like modern-southern eatery Eloise Nichols and sleek Bosscat Kitchen and Libations, Decadent should prove a popular destination for those who want to enjoy an affordable option in a high-dollar locale. Decadent is open Sundays through Thursdays from 6 a.m. to 9:30 p.m. and Fridays and Saturdays from 6 a.m. to 11:30 p.m. Thank you for the catch and we added it not too long after your message. Sorry for the delay in response! It’s at 4340 Westheimer.